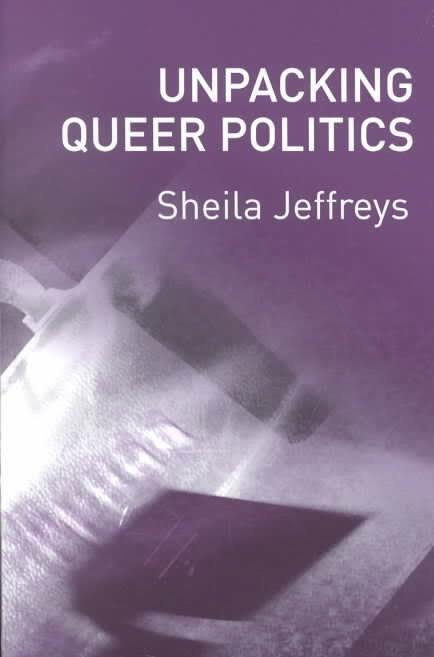 Sheila Jeffreys writes and teaches in the areas of sexual politics, international gender politics, and lesbian and gay politics. She has written six books on the history and politics of sexuality. Originally from the UK, Sheila moved to Melbourne in 1991 to take up a position at the University of Melbourne. She has been actively involved in feminist and lesbian feminist politics, particularly around the issue of sexual violence, since 1973. Visit the global Activists » Sheila Jeffreys archives for posts from all DGR sites. My understanding of masculinity is that it refers to behaviour that is constructed by and serves to maintain male dominance. Masculinity is not just that which pertains to men, since men can be seen, and consider themselves, to be insufficiently masculine… Masculinity is not, then, a biological fact, something connected with particular hormones or genes. Masculine behaviour or appearance or artifacts, and design, signify ‘manhood’ as a political, not a biological, category. In this understanding masculinity cannot exist without its supposed opposite, femininity, which pertains to female subordination. Neither masculinity nor femininity make sense or can exist without the other as a reference point.